Some of the fishing methods used in today's small-scale fisheries are causing more damage to coral reefs than ever, a new UBC study has found. 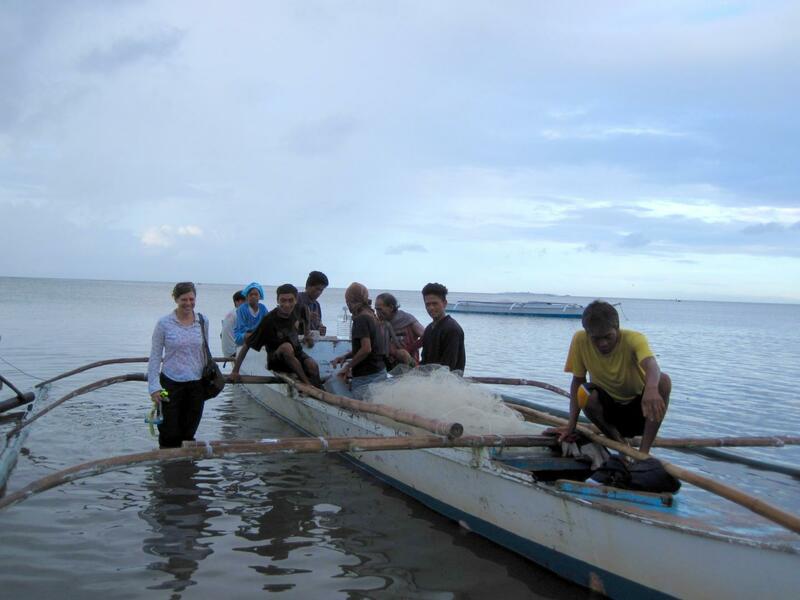 The study, conducted in the Philippines by the Institute for the Oceans and Fisheries' Project Seahorse and the Landscape Ecology Group at the University of British Columbia, tracked changes in the types of fishing methods — such as hand line, traps and nets — used on coral reefs between 1950 and 2010. Researchers found that from the 1960s onwards, the use of relatively sustainable fishing methods like hook and line fishing remained stable, while there was a marked increase in the use of fishing practices that were less selective and more destructive, even illegal. In particular, the study found that about a quarter of the fishers in the region use destructive fishing methods including explosives and poison, which were both outlawed by the Philippine government in 1932. Most other destructive fishing methods were outlawed by the government in 1998. Despite legislation that banned destructive fishing, the use of such illegal methods persisted. For example, a growing number of fishers used crowbars to break apart corals so they could catch valuable but elusive animals such as abalone. "It is vital not to let damaging fishing practices become the norm," said Jennifer Selgrath, the lead author who was a PhD candidate at the University of British Columbia during the research study. "Once people started using destructive fishing methods they stuck with what is familiar – even after those methods later became illegal. So, it's essential to ensure young fishers engage with sustainable fishing methods such as hook and line fishing, or traps. It's also critical to motivate older fishers to set aside destructive methods." The researchers found that total fishing efforts in the area expanded by more than 240 per cent between 1960 and 2010 because of an increase in damaging fishing practices and number of fishers. Previous research by Project Seahorse and the Landscape Ecology Group found that the increase in fishing effort was even greater when they considered the locations where people fished, since fishing tends to be concentrated in popular areas. National fishing policies and development funding in the Philippines during the 1970s and 1980s promoted higher catches of marine life and the researchers found this corresponded to an expansion in the tools and methods used by fishers. Changes in fishing gear use persisted decades after those same policies were stopped in order to promote sustainable fishing. "If the Philippines were to fully implement its new fishing laws on sustainability, then ocean protection would improve and use of damaging gears would decline," said Selgrath. "Fisher organizations can also take the lead, as sometimes happens in the Philippines, and cooperate on limiting destruction, ideally with support from local government." For this study, Jennifer Selgrath, who was a PhD student in the Institute for the Oceans and Fisheries, and a Fulbright Scholar, spent a year interviewing nearly 400 men who fish in the Danajon Bank Ecosystem about their fishing practices over a 60-year period, from 1950-2010. The Danajon Bank is a coral reef located in the Central Visayas region of the Philippines. The Philippines is located at the apex of the Coral Triangle, the global centre of marine biodiversity. People in the region depend on the ocean for food and livelihoods, but also struggle with poverty – about 60 per cent of people in the region live below the Philippines poverty line. In part, these struggles are due to overfishing, habitat damage, and declines in the abundance of marine life. Since this study was conducted, the Philippines has updated their fisheries policies to place a greater emphasis on sustainability and stricter penalties for illegal, unreported, and unregulated (IUU) fishing in the country.